John David Podesta (born January 8, 1949) was the fourth and final White House Chief of Staff under President Bill Clinton, from 1998 until 2001. He is married to Mary Podesta. Podesta is the president and CEO of the left-wing Center for American Progress. Under his leadership, the Center, founded in 2003, has become a notable leader in the development and advocacy for progressive policy. Podesta also served on the action fund and executive committee of the Center for American Progress. Podesta was a co-chairman of the Obama-Biden Transition Project. He is also a graduate of Knox College and the Georgetown University Law Center, where he is currently a Visiting Professor of Law and is teaching classes on Congressional investigations and technology law and policy. Podesta spent most of his early years in Chicago where he grew up in Jefferson Park on the city's Northwest Side with his Italian-American father, his Greek-American mother and his brother, Tony. Podesta came from a blue-collar family where his father worked in a factory for 50 years. Podesta is also known as Skippy, an alter-ego famous for dressing down subordinates who don’t perform. Podesta also trained for a time to become a Jesuit priest. In 1971, Podesta graduated from Knox College in Galesburg, Illinois. He attended the Georgetown University Law Center and graduated in 1976. 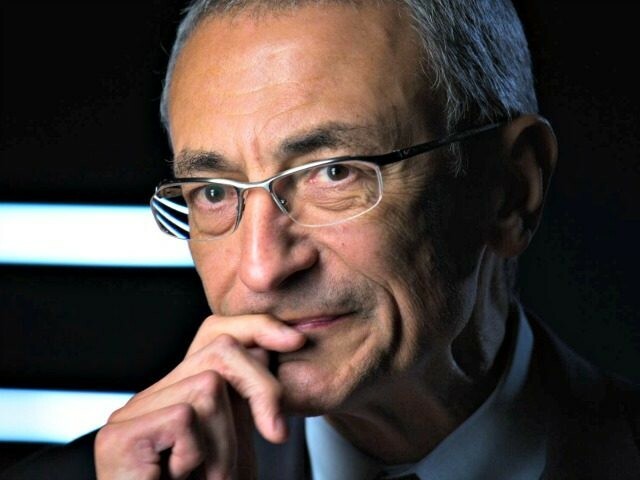 Podesta worked as a trial attorney for the Department of Justice's Honors Program in the Land and Natural Resources Division (1976–1977) and as a Special Assistant to the Director of ACTION, the Federal volunteer agency (1978–1979). Podesta's older brother Tony baptized him into the left side of politics in the 1960s. They became part of the anti-war movement. Following that calling, they went to work for the Eugene McCarthy and George McGovern presidential campaigns in 1968 and 1972. He met Bill Clinton for the first time in 1970. They both devoted their efforts to the anti-war candidate Joseph Duffy's unsuccessful Senate campaign in Connecticut. Podesta and Clinton then went on to work for the McGovern campaign in 1972. Following in the steps of Capitol Hill power brokers, Podesta started his career as an aide in 1979. He was counsel to the Senate Judiciary Committee at that time chaired by Senator Edward Kennedy (D-MA). In 1980, while Republicans held the Senate majority and amid brutal partisan Senate confirmation battles, Podesta served as minority counsel. He thrived on the conflict and the political brawling. Podesta served on the staff of Senator Patrick Leahy (D-Vermont) from 1981 to 1988. Leahy was an early advocate of circumventing the U.S. Constitution by gaining control over federal courts. Podesta assisted Leahy in pioneering the indiscriminate smearing and filibustering of any and all Republican judicial nominees -- a practice previously unknown in Washington. In 1988, he went on to form a powerhouse lobbying firm, Podesta Associates, Inc., with his brother, Tony Podesta. One of their first clients was Michael Dukakis. Podesta served as opposition research director -- commonly known as a “dirt digger” -- for Dukakis' 1988 presidential campaign. He returned to the Hill as a counselor to Senate Majority Leader Tom Daschle (D-SD) from 1995 to 1996. Clinton and Podesta met during the 1970s as they worked to organize adjacent districts in a Connecticut Senate contest. The fact that he did not have a long friendship with the president might have helped him to forgive Clinton for lying directly to him in the Lewinsky matter. “He has asked for our forgiveness, and I've certainly forgiven him, and I think he wants to move on. I think the country wants to move on,” Podesta told CNN in October 1998, two months before Clinton was impeached by the House. Podesta also counseled Bill Clinton as well as first lady Hillary Clinton during the furor over pardons for financial benefactors during the closing weeks of Clinton's presidency. The Clintons recognized Podesta's talent for scandal-suppression early. While still a mere staff secretary at the White House in 1993, Podesta found himself swamped with so many scandal clean-up assignments that he nicknamed himself, "Secretary of [Expletive]." "He's good at it," James Carville remarked to the Washington Post. Podesta's most lasting contribution to the leftist cause came through his promotion of a strategy that White House aides dubbed "Project Podesta." This was a system that enabled the Clintons to push through unpopular policies that neither Congress nor the American people wanted. Its implementation marked a dramatic tilt in the balance of power, giving the executive branch an unprecedented ability to force its will on the legislative branch. In short, Podesta showed the Clintons that they could gain by force what they might fail to achieve through legislation. "Stroke of the pen. Law of the land. Kind of cool," quipped White House aide Paul Begala to The New York Times on July 5, 1998, in response to questions about the Clintons' growing disdain for the will of Congress. Project Podesta's most ambitious exercise was the war on Yugoslavia which Clinton launched by executive order on April 13, 1999, in defiance of the U.S. Congress and the United Nations. When US News and World Report first revealed the existence of Project Podesta on November 1, 1999, two Congressional hearings convened to investigate the Clintons' abuse of executive power. But the investigators issued no reports and took no action. Regarding Podesta's war of attrition against tobacco firms and gun manufacturers, even Clinton's former Secretary of Labor Robert Reich warned fellow leftists in the January 17, 2000 issue of The American Prospect, "You might approve the outcomes in these two cases, but they establish a precedent for other cases you might find wildly unjust.… [T]hese lawsuits are blatant end-runs around the democratic process." Project Podesta reached its logical conclusion in Al Gore's effort to litigate his way into the White House in 2000. During the infamous 36-day, post-election stand-off, Podesta worked behind the scenes with Gore's legal team even as the Clinton White House publicly declared its neutrality. Podesta bears personal responsibility for forcing the election into the U.S. Supreme Court. Most of official Washington assumed that the election crisis would end on November 14, when Gore's recount deadline expired and Florida Secretary of State Katherine Harris would certify the winner. In order to reassure Americans that this would be the case, General Services Administration head David Barram held a press conference on November 8, 2000, at which he announced that he was ready to release the $5.8 million in presidential transition funds and to open the transition offices to whichever candidate was certified the winner on November 14. Barram repeated this promise several times via radio and television interviews. However, on November 13 -- the day before the recount deadline -- John Podesta sent a memo to Barram ordering him to keep the transition offices locked and to withhold the presidential transition funds, thus giving Gore extra time to litigate. Bush won the Florida recount, as expected. But the transition offices remained locked. Podesta's unprecedented act stunned official Washington and plunged America into a constitutional crisis. Delegations, meetings and exchanges of information were held on a regular basis. After the victory in the Congress, where the Democrats won the double majority, a Party of European Socialists Delegation, led by PES President Poul Nyrup Rasmussen, discovered the new mood in Washington D.C., on 15-18 April 2007. It had meetings with Governor Howard Dean, Chair of the DLC; Congressman Barney Frank (D-MA), Chairman of the Committee on Financial Services; Senator Bernie Sanders and with Senator Ben Cardin; John Podesta, CEO of the Center for American Progress, Former Chief of staff of President Clinton; John Sweeney, President of the AFL-CIO and Andy Stern, Chair of Service Employees International Union (SEIU). In 2009, the ACORN Outside Advisory Committee comprised of John Banks - Vice President of Government Relations Con Ed, Dave Beckwith - Executive Director, Needmor Fund, Henry Cisneros - Executive Chairman, Cityview, Eric Eve - Senior VP of Global Consumer Group, Community Relations, Citigroup, Harvey Hirschfeld - President, Lawcash, Kathleen Kennedy Townsend - Board Member, RFK Foundation, former MD Lt. Governor, John Podesta - President and CEO, Center for American Progress, Andy Stern - International President, Service Employees International Union. John Podesta is the president and chief executive officer of Center for American Progress. As the head of Center for American Progress, a think tank he founded in 2003 to revitalize the progressive movement by thinking outside the Democratic box, Podesta has been preparing for a Democratic revolution since the eight years of the George W. Bush presidency. Podesta took a leave of absence from CAP to serve as President Barack Obama's transition co-chair, but has no formal role in the administration. He has furthered CAP extensively in both reach and power under the Obama administration. Podesta was hand picked by George Soros and Morton Halperin, according to a March 1, 2004 report in The Nation by Robert Dreyfuss. Inside sources have described CAP as "the official Hillary Clinton think tank" - a media spin machine and policy generator designed to serve as a springboard for Mrs. Clinton's presidential ambitions. He lured high-profile Democrats to CAP’s leadership who figure or have figured prominently in Obama's administration, including Obama confidante Tom Daschle, Gene Sperling and Laura Tyson. John Podesta is also a member of the Constitution Project's bipartisan Liberty and Security Committee. In 2010, John Podesta served on the Board of Directors for the Progressive States Network, an organization which seeks to "transform the political landscape by sparking progressive actions at the state level". On November 29, 2006, Open Society Institute held a roundtable discussion entitled "How Do Progressives Connect Ideas to Action?" Robert Borosage, Campaign for America's Future. John Podesta served Barack Obama as co-chair of the president's transition team, where he coordinated the priorities of the incoming administration’s agenda, oversaw the development of its policies, and spearheaded its appointments of major cabinet secretaries and political appointees. Podesta was a featured speaker at the March 2008 "Take Back America" conference of Campaign for America's Future. It was at this forum that he declared global warming was a "severe national security problem" and that President Bush had failed to address it in any meaningful way. John Podesta has supported efforts from the UFO research community to pressure the United States government to release files to the public. At a 2002 news conference organized by Coalition for Freedom of Information, Podesta stated that, "It is time for the government to declassify records that are more than 25 years old and to provide scientists with data that will assist in determining the real nature of this phenomenon." When he worked for the Clinton White House, Podesta was in charge of a project to declassify 800 million pages of intelligence documents.